I got my first Mac when I was thirteen (thanks to my progressive parents) and my life hasn’t been the same since. 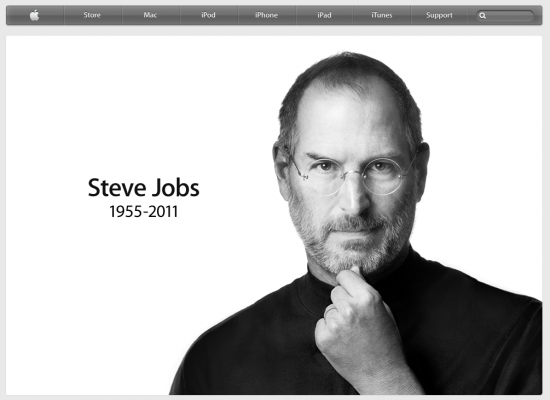 Steve Jobs inspired me beyond the physical products that he helped make at Apple, but through his ideas and his relentless pursuit of his own vision to change the world. He elevated design to the forefront of consumer products and business and his successful, detailed attention to user experience resulted in products that we love to use. I’m greatly saddened by his passing, but I feel lucky to have been influenced and inspired by him. Thanks to Henning in the comments for pointing out the origin of that quote. Great summary, Emily. But “Here is to the crazy ones” is not a Steve Jobs quote. It was the copy for a TV ad, authored by Chiat Day’s copywriter Craig Tanimoto. 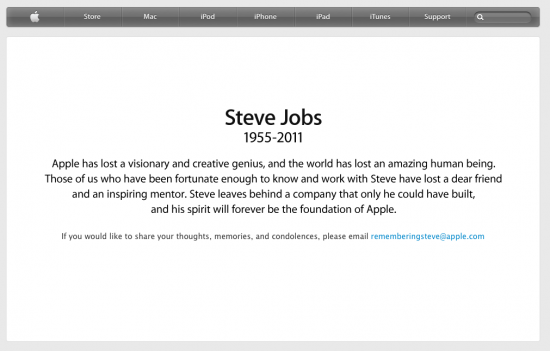 Due to virtues associated with Steve Jobs, the copy is often falsely attributed to him. In an early, unreleased version, Jobs himself narrated the ad, but in its final version it was narrated by Richard Dreyfuss. Thanks, Henning. I updated the post to reflect that.